Myob Group Ltd (ASX:MYO) is pleased to announce that the Federal Court of Australia (Court) has today made orders approving the proposed scheme of arrangement (Scheme) between MYOB and its shareholders. 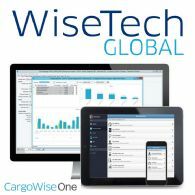 Bolloré Logistics, a global leader in supply chain management, has signed a strategic agreement with logistics solutions group WiseTech Global to roll out its CargoWise One integrated logistics solutions platform globally as of May 2019. 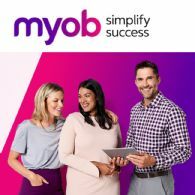 MYOB Group Limited (ASX:MYO) is pleased to announce that at a meeting held in Sydney earlier today, the scheme of arrangement (Scheme) pursuant to which MYOB will be acquired by an affiliate of Kohlberg Kravis Roberts & Co. L.P. was approved by the requisite majorities of MYOB shareholders. 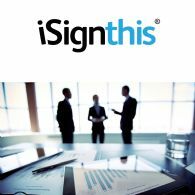 The directors present their report, together with the financial statements, on the consolidated entity consisting of iSignthis Ltd (ASX:ISX) and the entities it controlled at the end of, or during, the year ended 31 December 2018. 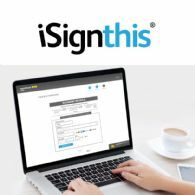 Further to our announcement dated 6th February 2019, iSignthis Ltd (ASX:ISX), on behalf of its various Australian subsidiaries trading as ISXPay(R), is pleased to announce it has entered into more than 10 payment facilitation agreements for processing of cards, with merchants who are holders of Australian Financial Service Licenses. MYOB Group Limited (ASX:MYO) notes the receipt by the Company this afternoon of a letter from Manikay Partners in relation to the proposed scheme of arrangement. 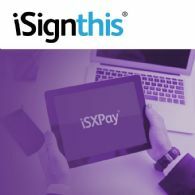 iSignthis Ltd (ASX:ISX) provides ISXPay EEA Card Processing Update. 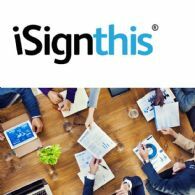 MYOB Group Limited (ASX:MYO) refers to the proposed scheme of arrangement as detailed in the scheme booklet dated 13 March 2019 under which Kohlberg Kravis Roberts & Co. L.P. will acquire, for $3.40 per share all cash consideration, all of the shares in MYOB it does not already own1 by way of scheme of arrangement.